The Syrian government of President Bashar al-Assad is making inroads in its drive to shut out the loosely organized Free Syrian Army (FSA) from the borders with Turkey, Lebanon and Iraq. Turkey’s outlawed Kurdistan Workers’ Party (PKK) is helping the Assad regime crack down on dissent in Syria’s Kurdish northern regions. The PKK is a separatist Kurdish organization that has been engaged in an armed struggle against the Turkish state since 1984 and is listed as a terrorist group by the United States, the European Union and others. The Turkish daily Today’s Zaman says PKK forces captured 15 FSA fighters near the Syrian-Iraqi border over the weekend and may have handed them over to the Syrian Army. 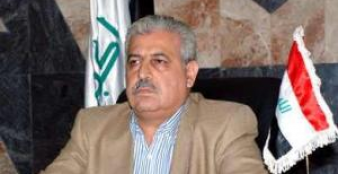 “PKK influence in Syria is growing rapidly” and the group may act as the government’s shabiha (ghost) militia, according to Dr. Othman Ali, head of the Turkish-Kurdish Studies Center in Erbil, Iraq. Sources in northern Syria told Today’s Zaman the PKK ha set up camps in the town of Afrin, in Aleppo Governorate close to the Turkish districts of Islahiye and Kirikhan, and in Ras al-Ayn, near the southeastern Turkish province of Şanlıurfa. Elsewhere, the Baghdad government of Nouri al-Maliki, which is close to Iran and Assad, handed over to Damascus this week two FSA fighters who had sought refuge in Mosul, capital of Iraq’s Ninawa province. Lebanon too is trying to block out the FSA. The Lebanese Army this week held seven of 32 Syrian defectors who crossed the border on charges of carrying weapons into the country. About 2,000 Syrians fleeing violence at home crossed into Lebanon this week following the shelling of residential areas in Homs. The Syrian Army has since bombed two bridges used by refugees fleeing into Lebanon. None of this, however, has stopped defections from Syria’s military. On Tuesday, Adnan Qassem Farzat became the second brigadier general to “cross the aisle” and join the FSA after Mustafa al-Sheikh, who deserted in January. "I am Brig. Gen. Adnan Qassem Farzat... from the people of the city of Rastan. 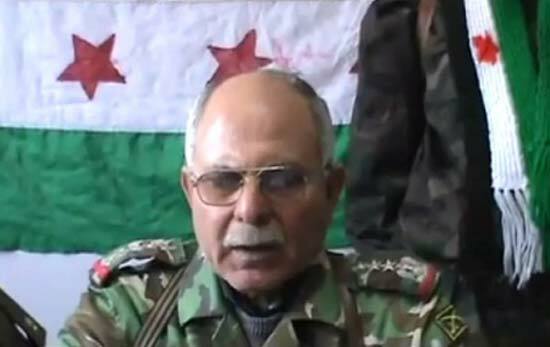 I announce my defection from the Syrian military and I have joined the Free Syrian Arab Army," Farzat said on camera. Rastan was one of the first towns to fall briefly into rebel hands though it has been retaken by the army several times and has been heavily battered by fighting. "I informed some commanders that Rastan is being hit by artillery fire, and in spite of this the bombardment continued violently. Houses have been destroyed and women and children have been killed. These are not the values of the Syrian army and for this reason I am defecting." "Is Russia Changing Tack on Syria?" Have two more journalists been killed in Syria? Will Putin replace Lavrov with Margelov in May?